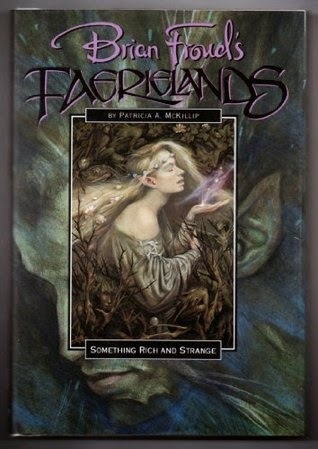 Illustrated by Brian Froud, this second volume of the Faerieland series by an award-winning fantasist spins a haunting tale of the sea with a decidedly modern twist. Here a couple living in a small seaside community in the Pacific Northwest are enchanted by magical folk who inhabit and protect the sea. When I first read this book, it was a Saturday afternoon, drizzly and cool, and I was sitting in my favorite chair reading. After I was done, I had such an overwhelming urge to drive to the beach. So I did. It was pouring, and the beach was soggy and desolate. I loved the smell of the turbulent ocean and wanted to reach the "bottom of the stairway into the sea" and discover all its mysteries. So rarely does a book have this kind of power over me. It was beautiful, magical, and I couldn’t stop thinking about it for days. I decided to revisit this story. This time, I did most of my reading while riding the bus or during the long commute to work. There was no way I could just get out and drive to the beach. While the imagery still enchanted me the second time around, I was more focused on the relationship between Megan and Jonah, their problems, the strong environmental message, and how the sea and its mysteries are slowly drawing them apart. McKillip's magical prose and gorgeous style does not fail to enchant. This is a short story with gorgeous illustrations that can easily be read in one or two sittings. If you love beaches, love the sea, and love dreamlike, magical stories, then I would highly recommend this. The beach will never look the same again.